The Yomiuri Giants on Monday unveiled the uniforms they will use next season, the road jerseys sporting “TOKYO” across the chest. It’s the first time in 13 seasons the Giants will display the word Tokyo on their jerseys. “This incorporates the fact that we play in Tokyo and the team is representative of Japan,” Giants President Hiroshi Kubo said at a press conference in Tokyo. Sportswear maker Under Armour has provided the uniforms, which feature white for home games and light blue for road contests. The jerseys no longer have the trim on the front that ran from the neck to the midsection, and don’t include number on the front. They were designed to give the players freedom in their movements. 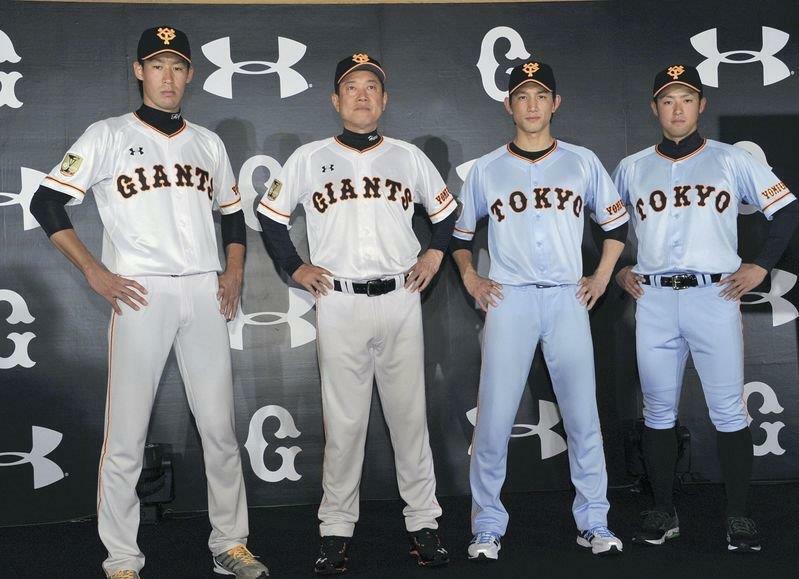 “The style is simple, much like what the Giants were founded upon,” said Yomiuri manager Tatsunori Hara.